Hello Friends and Happy Hump Day Wednesday. 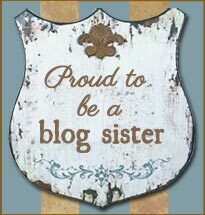 Remember when I told you about the opportunity that was presented to me by The Money School of Delaware to teach a Blogging 101 class? 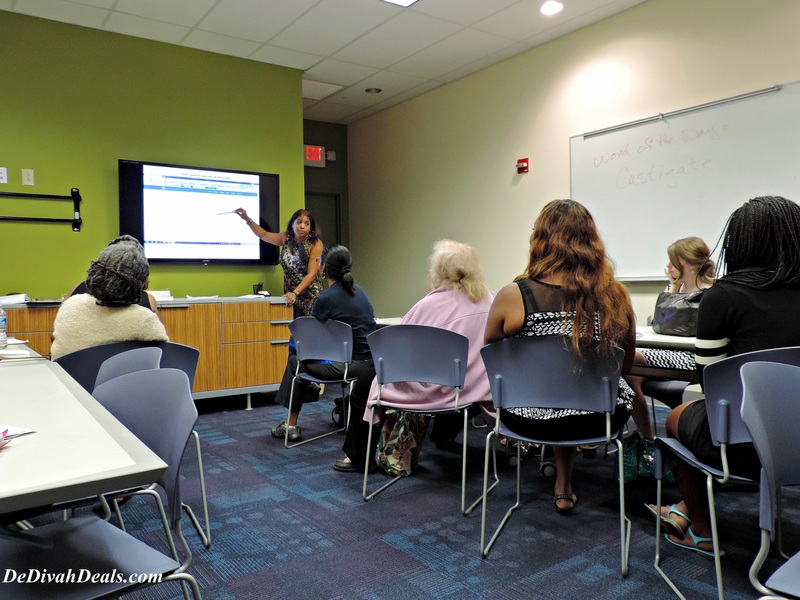 Well, it happened…I did it, I taught a class last Wednesday at the Bear Public Library. In 1983, I received my BS Degree in Elementary Education from Delaware State (College), but only taught 1 year of 3rd grade before leaving to work in Corporate America. 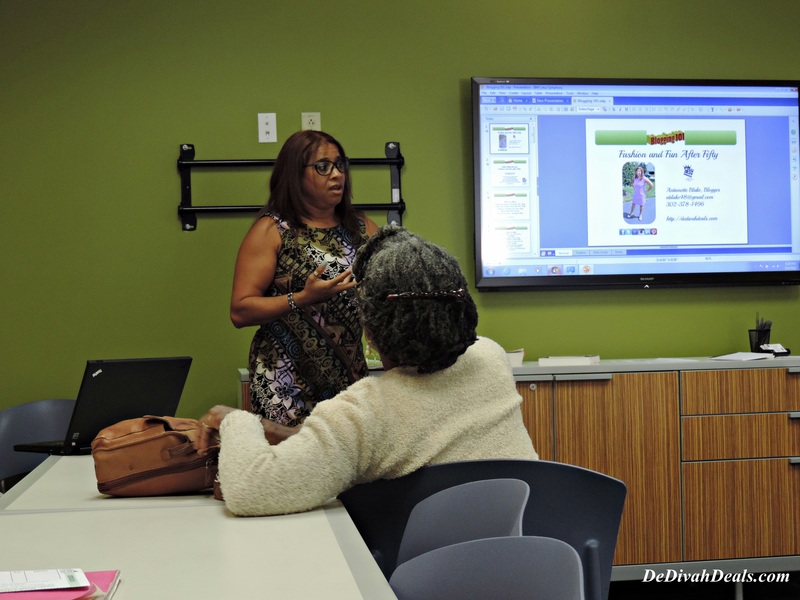 This was the first time since then of being back in a classroom…teaching…doing something that I’ve always loved to do. I was on pins and needles for months in anticipation, reading everything I could online and from fellow bloggers as well as from the “Blogging for Dummies” book. I was super excited to share what I had learned and prayed that all would go well. 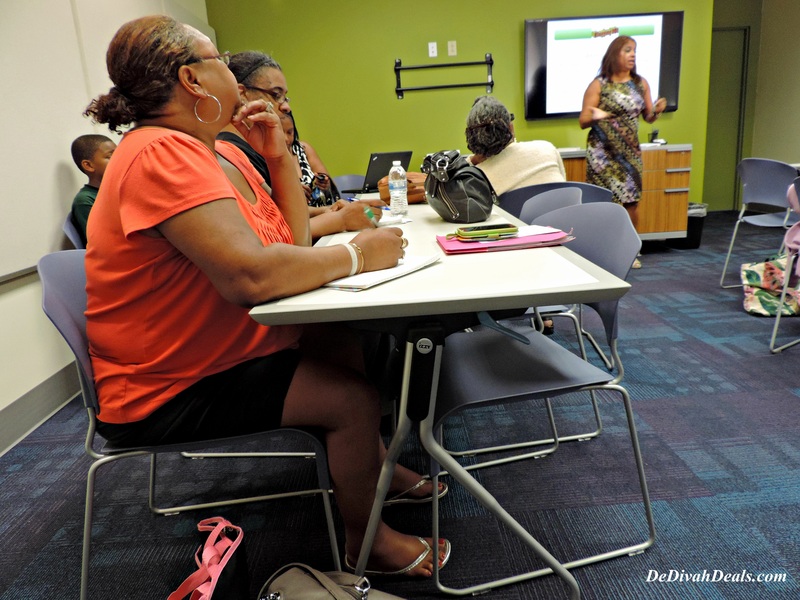 The class was full with 20 people registered, however, there were several no-shows but the walk-ins took their place making it a total of 18 participants. 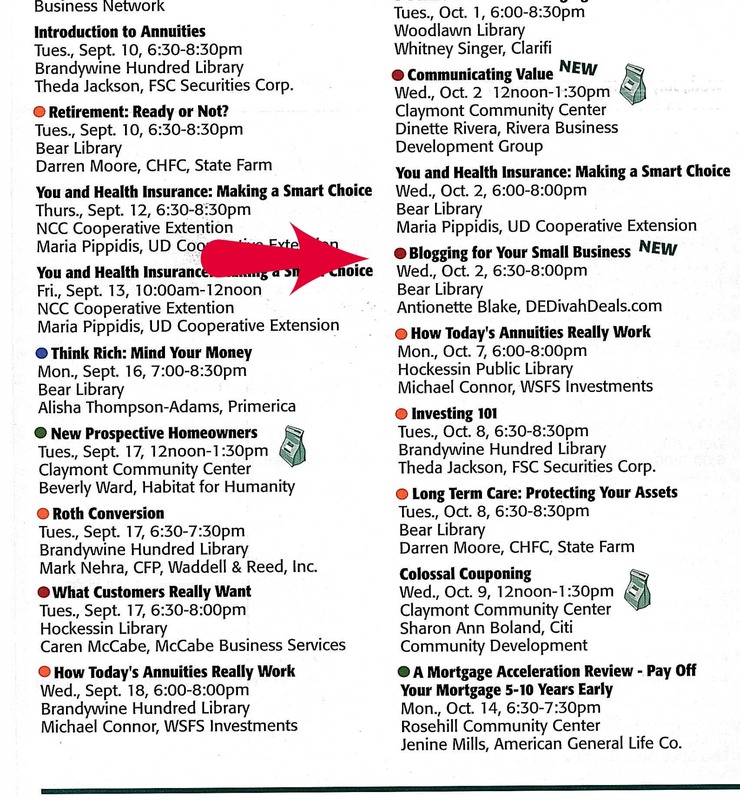 “Not a bad turn out for a new class” stated the Library’s scheduler, which made me feel good. I was a little nervous only because of the traffic delays that I had encountered trying to get there before the start time and upon arrival there were already 3 people seated. After setting up the laptop with my PowerPoint presentation, I downloaded some Smooth Jazz from Pandora and waited until the start time of 6:30 pm. to begin. Do you know that saying, “I hit it out of the park”? 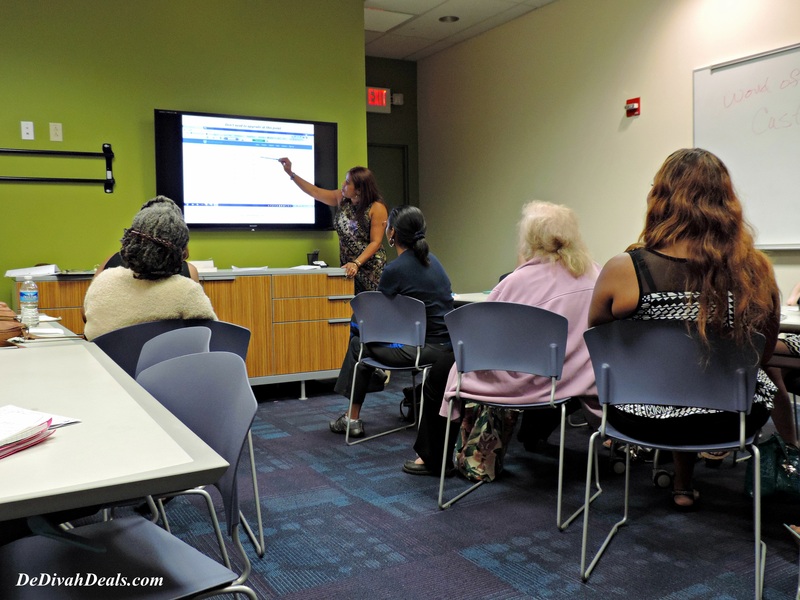 Well I did…it was an awesome evening, a lively and engaging group of woman ranging in ages from 15 to 60, mothers with daughters and small business owners all eager to learn the basics of blogging. They asked great questions, participated by sharing stories and overall made this a memorable experience for which I’ll forever be grateful. It was my grandmother’s wish that I would someday return to teaching, so I know she was looking down on me with a smile. Next month I’ll be presenting “Blogging for Small Businesses”, so it’s off to read and learn more, create a new presentation, download more Smooth Jazz and prepare to meet some new students. Have you ever had an opportunity to go back and do something that you truly loved to do? 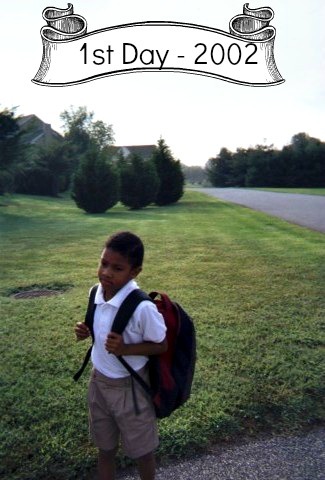 Hello Friends and Happy Back to School 2013! 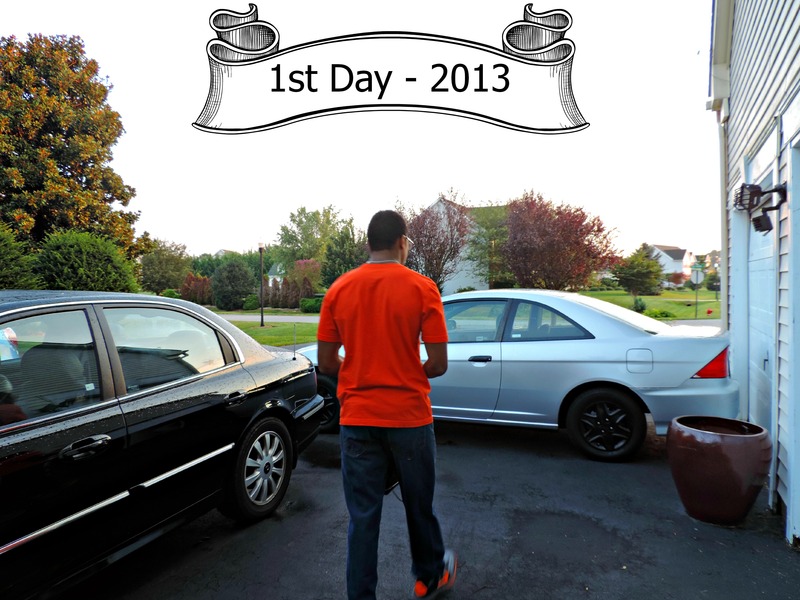 Today my son starts his last first day back to school, entering as a HIGH SCHOOL SENIOR!!! ….now as I watched him leave this morning on his last first day of school the lump in my throat reappeared but for a totally different reason. Speaking of going back to school, I too will be heading back, but this time for just one day. 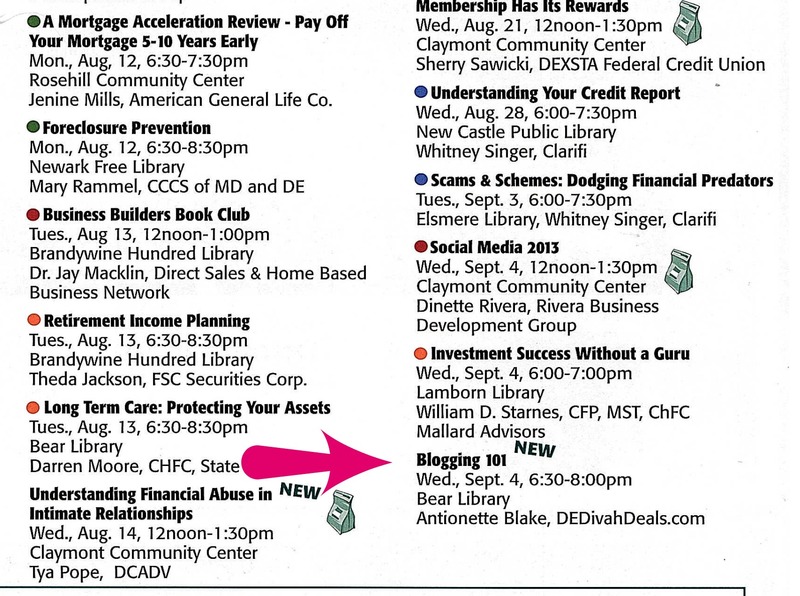 I will be returning to the classroom to teach a Blogging 101 class on Wednesday, September 4th sponsored by The Money School of Delaware. Investment Success without a Guru. You’re Getting Divorced – Now What! Here’s to a wonderful Back to School year for all of us – Smooches! AND GUESS WHO WILL BE TEACHING THEM? This exciting opportunity was offered to me by The Money School of Delaware in April at The Green Tie Event and I have been over the top excited ever since. I haven’t taught since 1983, and am really looking forward to returning to my first love. My grandmother would also be super duper excited and I know she will be watching over me. I hope to see all of my Delaware followers so please sign up & support! 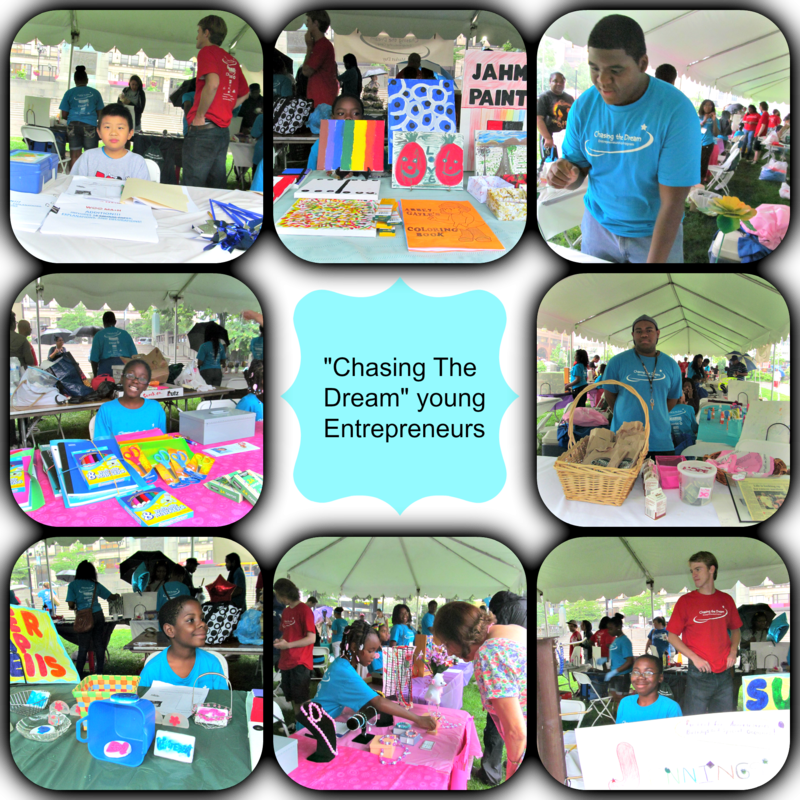 Chasing the Dream Entrepreneurship Camp sponsored by The Money School of Delaware provided youngsters between the ages of 9-13, an opportunity to learn the basics of starting a business. 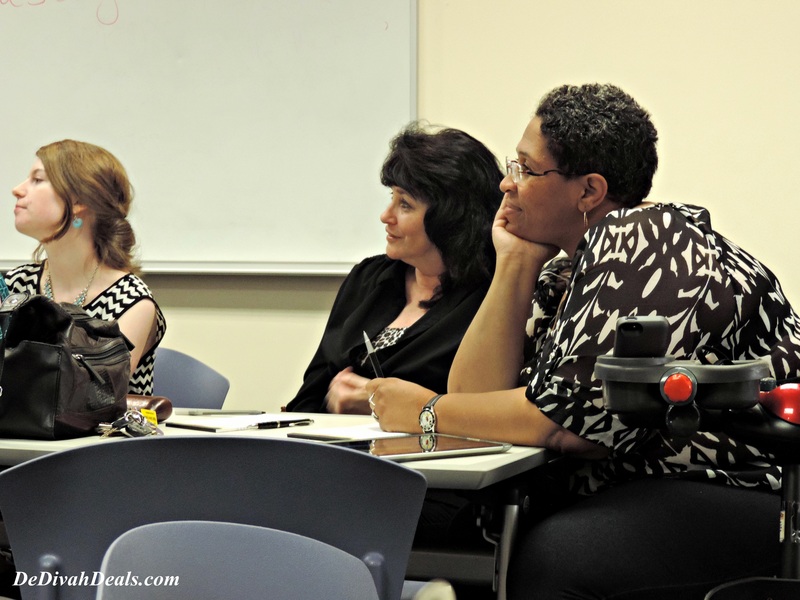 Last Thursday they were given the tools and a venue to showcase what they had learned. 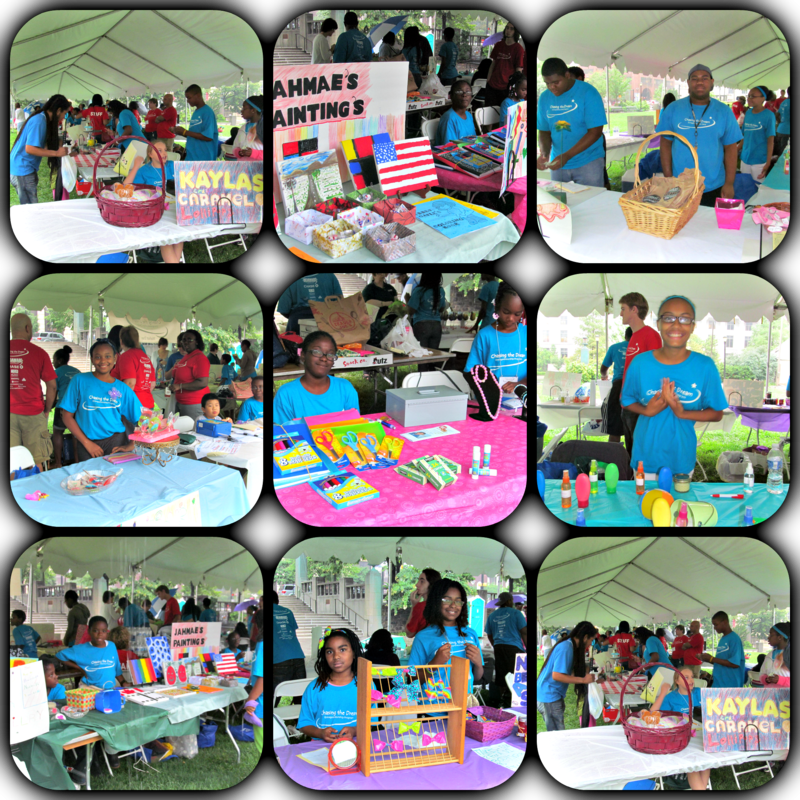 A miniature Marketplace was set up in Rodney Square in Wilmington where the campers had an opportunity to sell their products, which included body scrubs, hand crafted jewelry, sunglasses, candy, plants, lemonade, popcorn, metal sculptures even hourly math tutoring sessions. These young entrepreneurs obviously also learned another very important lesson, the value of customer satisfaction. 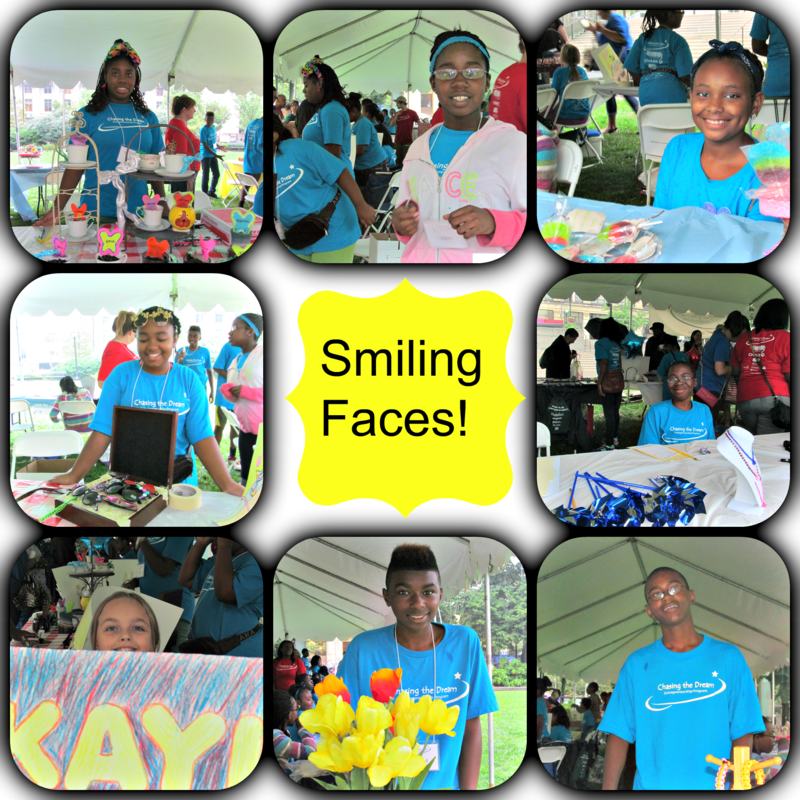 They greeted each passerby with a smile and eagerly answered questions about their products. There was a heavy downpour on and off during the day but that did not stop people from coming out to support. There was a steady stream of customers as well as WDEL Radio personality, Amy Cherry and a 6ABC News cameraman. 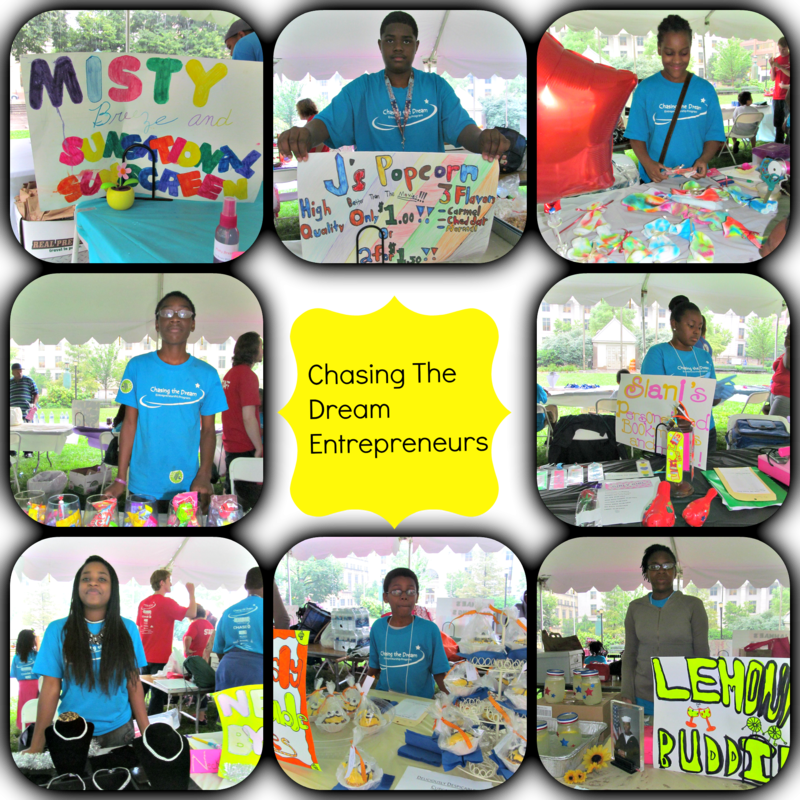 I was truly impressed with not only the products these entrepreneurs had created, but how each of their personalities and positive attitudes showed brightly despite the dark clouds looming overhead. 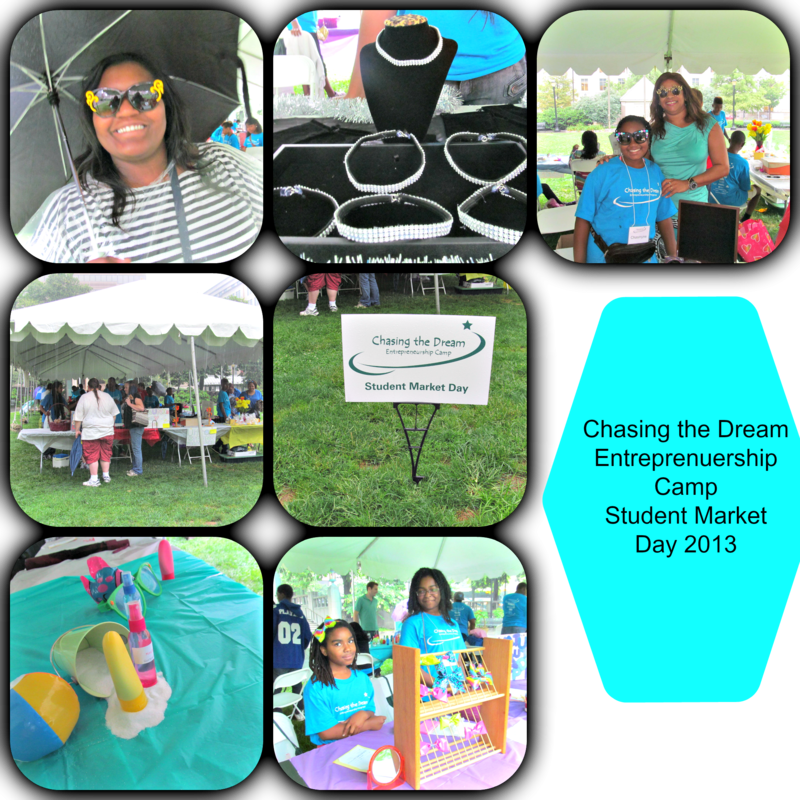 Kudos to The Money School of Delaware for supporting the youth of today with their futures of tomorrow. Chillin’ Grillin’ and Money School Classes! Remember my post “3 Generations Saving at The Salvation Army“? Well, I submitted it to DE Financial Literacy Institute for it’s Summer Edition of Pocket Change and excerpts of it was published. 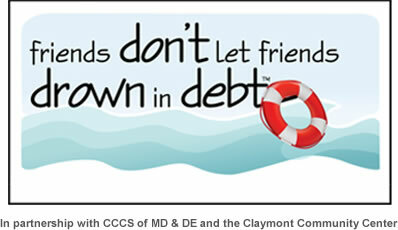 Pocket Change is an digital publication issued by issuu.com, and features events by Delaware Financial Literacy Institute as well as some great articles on ways to save money. Check it out, the post is featured on page 19. Linking up with Rolled Up Pretty – come on over and join the fun!